For those who have been with the group, either from the start or joined within recent months, what does being a member mean to you? What do you enjoy about the group? What are some of your more memorable Weekly Geeks that we might could do again? What could be improved as we continue the legacy that Dewey gave us? For those just joining us, why did you sign up for Weekly Geeks? What would you like to see here? The initial reason why I was interested in Weekly Geeks was because, well, it was Dewey's idea. I wanted to give her my support, and plus I knew that with her behind it there's no way it wouldn't be fun. As the weeks went by I grew to really love the tasks themselves, even if I didn't always get around to participating. They were fun, varied, thoughtful and original. What I like the most about Weekly Geeks is how inclusive it is. New members can join at any point and they are immediately welcomed. It gives us all an excuse to reach out, meet new people, interact with one another, make new friends. 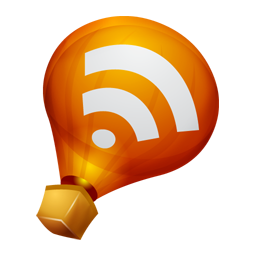 And for those who can be shy about commenting on new blogs, Weekly Geeks makes things easier. As for ways of improving WG, I honestly can't think of anything. Keep it up, guys. 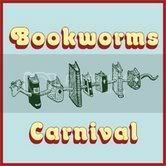 Also, the 21st edition of the Bookworms Carnival is up at YA Fabulous. The theme is glbtq literature, and you can read some very enticing reviews, both of adult and of YA books. Renay also provided a fabulous list of links for those interested in learning more about glbtq literature. I'm too new to Weekly Geeks to list any of my favorite themes but I love the whole community and feeling of belonging I have received from this great group of people...including you!! Staci: Aww, thank you and likewise! I love the feeling of belonging too. Well, I was coming over to tell you about your award, but I just saw that you already commented. :) I am so glad WG is back! The Geeks are good people, aren't they? Nice post--some of your favorites were before my time, so it's nice to look back at those. And thanks for the link to the Bookworms carnival! The one where everyone asked questions about books people were reading seemed like a good one. Thanks for the welcome to Weekly Geeks! I'm looking forward to being part of the group and participating in the challenges. The past ones sound great! I think I missed reading about #5...thanks for the link. Dewey really did have a knack for thinking up topics! I intially signed up to support Dewey too. :) And thanks for linking to the latest bookworms carnival; I completely forgot about it. But I've been meaning to read more GLBTQ lit, so I'm excited! I love your answers :) I think we think alike! I got here eventually Nymeth. I liked the WG tasks too. I enjoy WG too, it was always a great way to make new blog friends :) the ones you listed were fun. These type of activities really are good for getting to know people. It's very wonderful! And thanks for letting me know about the bookworms carnival. I love glbtq lit. Off to check it out. I loved the interview geeks. I have to post my WG soon. I'm falling behind! I just gave you an award on my blog. Jessi, thanks again :D And I'm very glad too. Ali, you're welcome! I look forward to seeing what some of the future themes will be. Alice: You should participate sometime! There's absolutely no obligation to do it every week or anything. And it's fun! Softdrink: She did, but I'm sure you'll all think of some great ones too. Kerrie, thank you for stopping by! Lauren: Agreed! I've lost count of how many blogging friends I made this way. I loved all of those Weekly Geeks too! Particularly the one where people asked each other questions about the books they were reading. I never did that one, but I should try it out! Oh, and in reference to the GLBT carnival, did you hear that they're making "Hero" into a mini-series on Showtime and that Stan Lee is involved with it? Great answer, Nymeth. I love how inclusive Weekly Geeks is as well--and although I don't participate (except for the first few weeks...which I will always remember because that's how I met Debi), I really enjoy reading everyone's posts. The social issues was one of my favorite weeks as well. Chris: You should! I actually did it after the week when we were supposed to do it, but it was fun anyway :P And yes, I read about the Hero mini-series on Renay's blog the other day! It sounds like it will be good, doesn't it? Fingers crossed that it is! i just love weekly geeks and participated this week for the first time since Dewey's passing.